Blue and green mini floral self tie bow tie is made from vintage cotton fabric. It has a wonderful print of blue and green flowers and leaves, it doesn’t shine and drapes beautifully. This bow tie is a self tie bow tie and is adjustable to fit neck sizes 15″-18″. 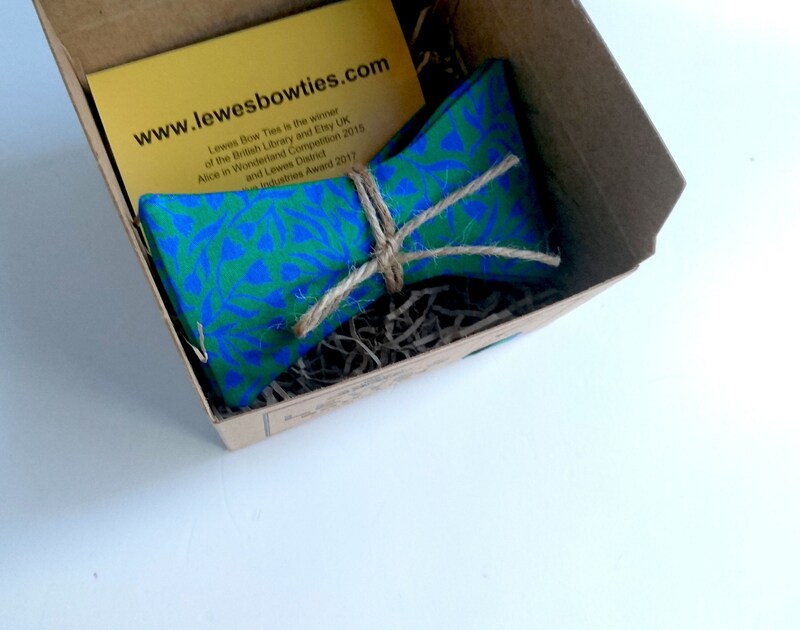 It makes a beautiful gift as it’s nicely packaged in a branded box made from recycled paper. 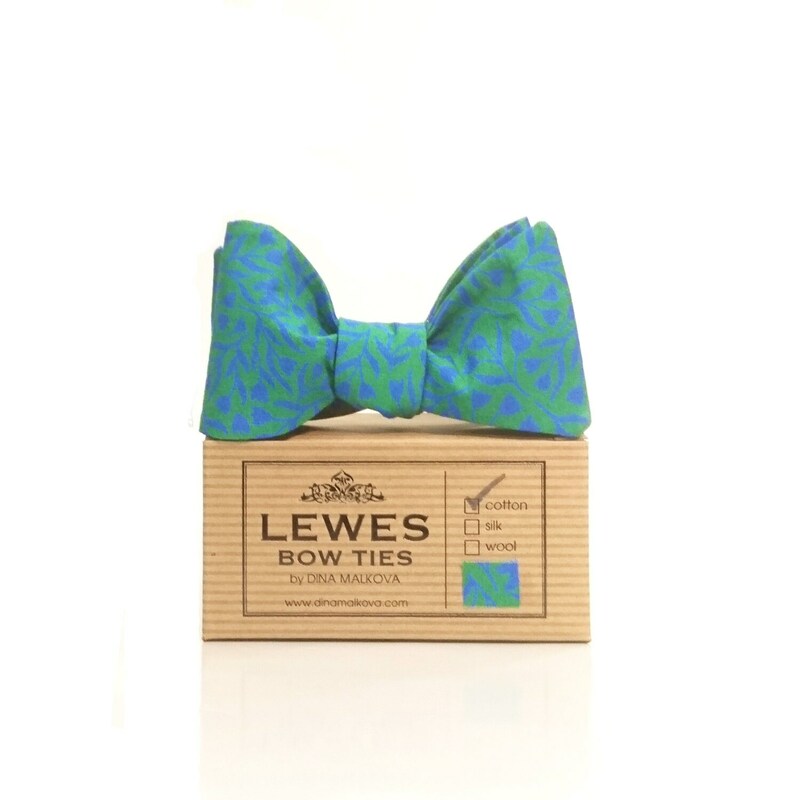 Lewes Bow Ties is the winner of the British Library BL Lab Entrepreneurial Award 2015, Etsy UK Alice in Wonderland Competition 2015 and Lewes District Creative Industries Award 2017.